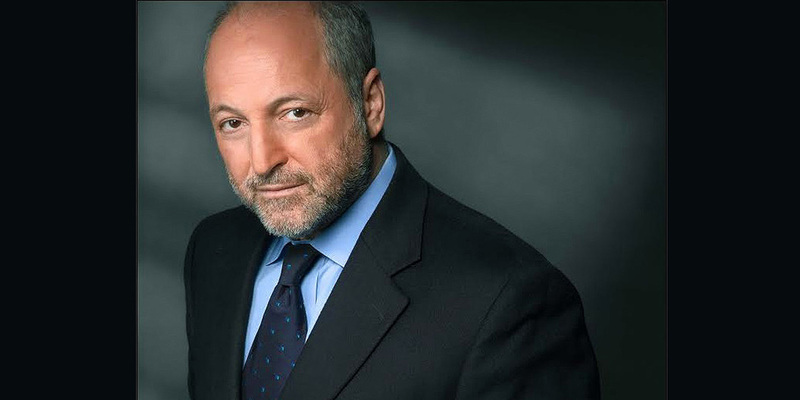 André Aciman ('73), whose bestselling novel, Call Me By Your Name, was turned into an Academy Award-winning film last year, will be the keynote speaker at Lehman College's 50 annual Commencement ceremonies on May 31. Aciman, who earned his bachelor's in English at Lehman, will also receive the Alumni Achievement Award. Professor Emeritus Jacob Judd will be honored with a Doctorate of Humane Letters for his decades-long devotion to the College. "It is a great honor to welcome André Aciman and Professor Emeritus Jacob Judd, both proud members of the Lehman College family, back to campus," said Lehman President José Luis Cruz. "It is also our pleasure to acknowledge both of these scholars for their distinguished accomplishments." Aciman, a distinguished professor in the Comparative Literature program at the CUNY Graduate Center, as well as the director of the Center's Writers' Institute, is the author of four novels, including last year’s Enigma Variations—hailed by The New York Times as “a magnificent, living thing.” In addition, Aciman has published two collections of essays; edited another volume of essays on Marcel Proust; and written a memoir, Out of Egypt, which won a Whiting Award in 1996. The multifaceted writer has regularly discussed his writing career and undergraduate experiences at Lehman when he has returned in campus in recent years. Aciman has said that his years at Lehman were important in his development as a writer, particularly when he studied with Joseph Tusiani, a professor emeritus of the College's Languages and Literatures department. "I went to the Bronx every day on the 4 train. I was working three jobs," he said. "It was so pedestrian and plodding; everything about me was so plebeian. Yet I'd get to the Bronx and here we were—Tusiani and I—two minds totally committed to what was timeless, to what was great." Born in Alexandria, Egypt, Aciman spent much of his teens in Italy and France before moving with his family to New York City. After graduating with a B.A. in comparative literature from Lehman in 1973, he earned his master’s and doctoral degrees at Harvard University. He has received a Guggenheim Fellowship and a fellowship from The New York Public Library's Cullman Center for Scholars and Writers. Aciman’s work has appeared in publications including The New York Times, The New Yorker, The New York Review of Books, The New Republic, and The Paris Review, as well as in several volumes of The Best American Essays. Professor Emeritus Jacob Judd, author of several books on early American history, including multiple volumes of The Van Cortland Family Papers which he edited, began teaching fulltime at Hunter College in 1963. He joined the faculty at Hunter College’s Bronx campus in 1967, a year before it was renamed Herbert H. Lehman College. He earned his B.A., as well as his M.A. and Ph.D. at N.Y.U. While at Lehman, he chaired the history department from 1980 to 1992, and also served as acting dean of arts and humanities. A specialist in New York history, and in America’s colonial era, Professor Judd has written extensively on political and economic developments within New York City and Westchester County in the 17th to 19th centuries. In addition, he was a faculty member of the CUNY Graduate Center’s Ph.D. program in history for over 15 years. After retiring in 1998, he served as the chairman of the Lehman College Retirees Association until stepping down in 2016. Lehman College's 50th annual Commencement ceremony will be held on May 31, 2018 at 10 a.m. on the South Field on campus. The event is free and open to the public.